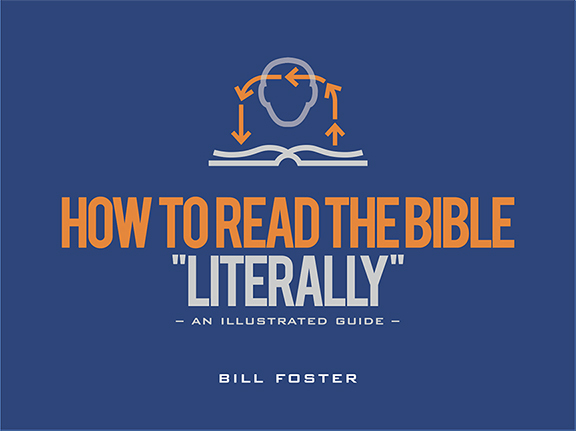 Most people, believers and skeptics alike, mistakenly assume that “literally” means straightforwardly or non-figuratively, i.e. reading with the expectation that the text is plain language. However, “literally” actually means according to the author’s intent. The author shows his intentions by the language he uses. To read something “literally” means that a passage can be read figuratively if the author uses figurative, poetic, or symbolic language, or plainly if the author uses plain language, whichever meaning he intends. The reader’s job is to be familiar with the literary devices an author uses in order to discern his intended message. The Bible consists of a variety of literary genres and devices. The informed reader will learn to discern the type of literature he or she is reading by spending time in Scripture and recognizing the writing style of the authors. Despite the assumptions a modern-day reader may bring to the text, it is not secular interpretations of science nor 21st-century social sensibilities that determine how the Bible should be read. It is the intent of the author that determines how the Bible – or any other written work – should be read.